I AM HAPPY to share with you in this Science and Maths week. History is full of scientists who have shaped the world due to their work as teenagers. If they were disregarded simply because of their age at that time, many things we take for granted today, such as computers, clocks or telescopes etc. may not exist. I would like to introduce 3 Famous Scientists who started their work as young teens. I hope their examples can inspire some of our potential SCIENTISTS IN OUR SCHOOL! 1. Isaac Newton – All of us would be familiar with the legend about him. That is, he was sitting under an apple tree one day. Apparently, an apple fell on his head, and as a young boy, Issac Newton started wondering why the apple was attracted to the ground in the first place. 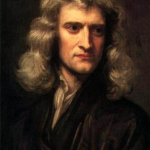 Newton’s mother originally attempted to make his son a farmer by removing him from school. Luckily, the schoolmaster and his uncle suggested to his mother to let Newton return to school to finish his education. At last, Isaac Newton attended Cambridge University upon finishing school in 1661. He set forth the idea that gravity was a predictable force. 2. 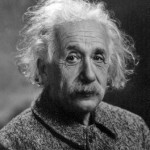 Albert Einstein – Albert was not a very bright child to his grandmother and parents. He could not speak until he was three and he dropped out of school when he was 15. But in his younger years, Albert Einstein had always shown a great passion for mathematics and science and his concentration on solving difficult scientific problems. Although his scores were below standard in many of the required subjects, his mathematics and physics skills were exceptionally high. The Theory of Relativity about time, light and gravity is most notable. His theories changed how we look at the world, and resulted in many new inventions. Besides, Einstein has also left us many famous and good quotes. 3. Blaise Pascal – Do you know that your Windows-based computer system has a tool installed that was invented 350 years ago? 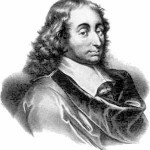 In 1642, while still a teenager at the age of 16, Blaise Pascal started some work on calculating machines. After three years of effort and fifty prototypes, he built 20 finished machines (called Pascal’s calculators) over the following ten years, establishing him as one of the first two inventors of the mechanical calculator. Although the centuries have developed calculators that are digital, solar powered SINCE THEN, Pascal set the wheels in motion with the development of earlier versions of our calculating devices. What computer or smartphone would be complete without a calculator of some kind? The 3 famous scientists mentioned above all started to pursue their dream at their young age like you. Through their own determination and thirst for knowledge, these teenagers impacted the world far greater than they would realize long after their deaths. I know that quite a number of students, junior or senior forms, in our school are keen on science. ‘Everyone is a genius”! ‘A person who never made a mistake, never tried anything new.’ ‘Life is like riding a bicycle. To keep your balance, you need to move forward’ !